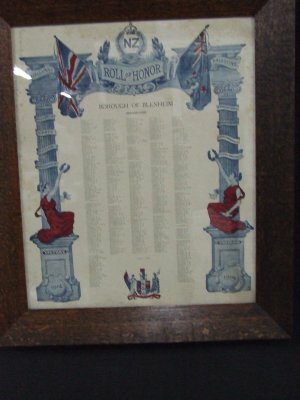 Description Large wooden framed coloured WW1 Roll of Honour for the Borough of Blenheim 1914 to 1919. It is headed N.Z. 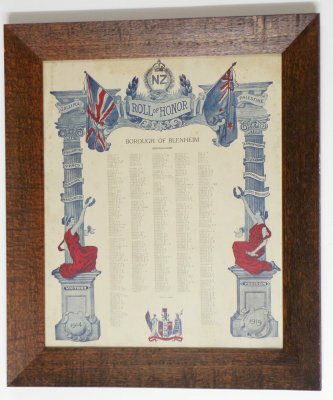 Roll of Honor(sic), Borough of Blenheim, then it lists all the places fought in by the soldiers: Gallipoli, Palestine, Pozieres, Ypres, Somme, Messines, Armentieres, Bullecourt, Passchendaele, Villers-Bretonneux. 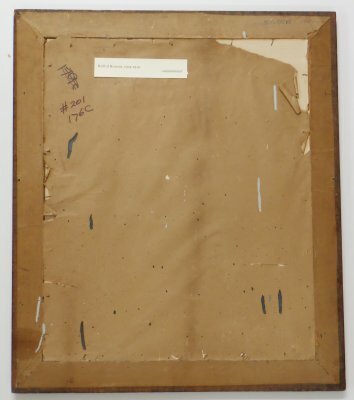 The has the words, "Victory 1914" and "Freedom 1919". 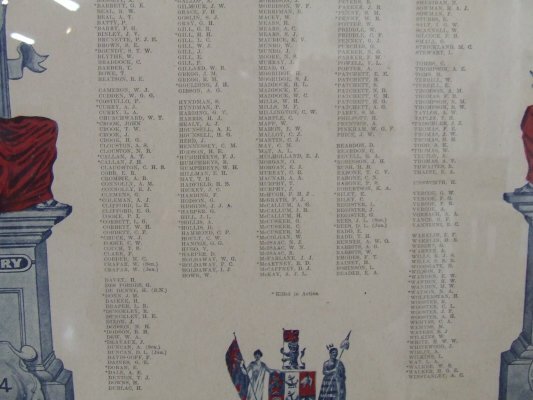 This is only a list of men who enlisted in Marlborough. 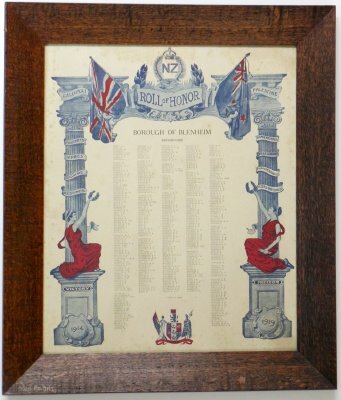 If a Marlborough man enlisted in Canterbury or Wellington, for instance, he won't be on this list, similarly, if a man from outside of Marlborough enlisted in Marlborough he will be on this list. 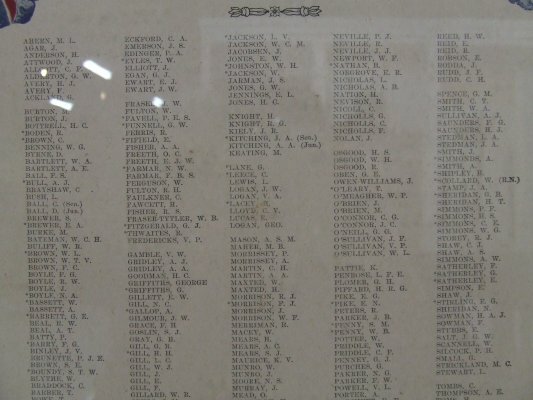 An * beside the name means killed in action. 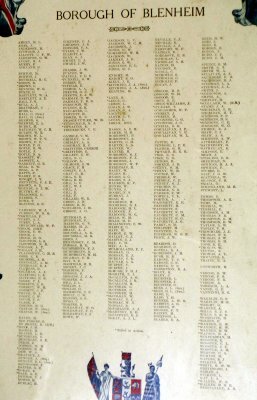 Those 81 men are listed below. 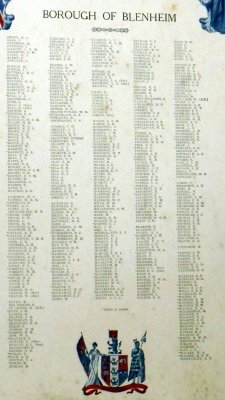 For the complete 470 names see the People field. 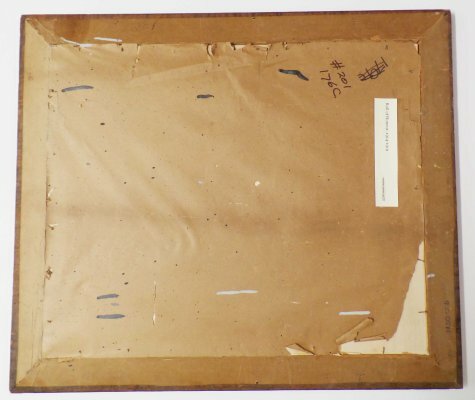 For ease of entry, the names have been entered as they go across the page, therefore they are not in alphabetical order, but they are only out of order by five names each time, except for D and W which are both at the end of the list.